KWIRX works monthly with Unity of Houston to produce a monthly service bulletin distributed to the Unity congregation each Sunday. KWIRX designs the theme based on direction from Unity staff, and makes layout changes to accommodate the goings on of each month. 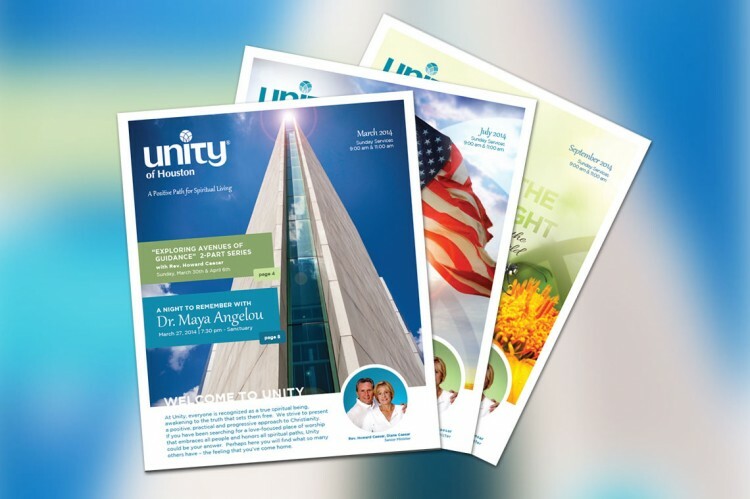 The bulletin is one piece in a larger cohesive branding strategy, where the look and feel of printed and online materials are not only consistent, but unique to Unity of Houston.